Wow, in a matter of days from posting about this upcoming show at Studio 54 we got news that a good friend of Michael Musto will be joining us for this shindig. 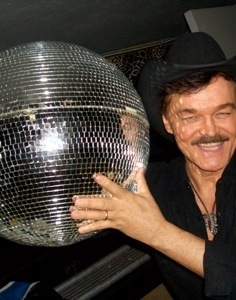 You all would know him as the Cowboy from the Village People! The Original Cowboy Randy Jones! Yes! he will join us on that hit song you all know! so make sure you practice your YMCA moves! This is setting up to be one hell of a fun night for sure! We just can’t wait! Thanks for your sharing and I'm glad to know that you have worked for YMCA, We wish you a best of luck right now. I want to download [URL=http://www.totalwallpapers.com/]totalwallpapers[/URL] of Britney Spears, can you please tell me how can I download it without any tags and labels, share with us, please. Thanks for your sharing and I'm glad to know that you have worked for YMCA, We wish you a best of luck right now. I want to download totalwallpapers of Britney Spears, can you please tell me how can I download it without any tags and labels, share with us, please.